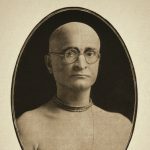 Once Srila (Bhaktisiddhanta Saraswati Thakura) Prabhupada was viewing the Deities of Sri-Sri Guru Gauranga-Gandharvika-Giridhari at the Sri Caitanya Math, standing on the front porch of the temple. The door of that temple is not very wide and Srila Prabhupada did not have his glasses on. Standing next to him was one of his dear disciples. 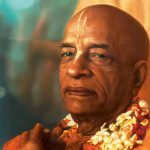 The disciple thought perhaps Prabhupada could not view the Deities very well through the narrow doorway. 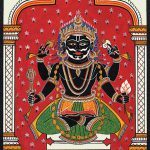 He said, “Prabhupad, this doorway is not very wide. So it is not possible to view the Deities very well from inside.” Hearing this, Prabhupad smiled, and he said for the benedit of all of us, “We should not think of the Supreme Lord as an object of our vision. Instead we should meditate on the thought of how we can acquire some qualifications so we can become worthy objects of His vision. We should think about whether He wants to see us, and whether He will want to reveal Himself to us. “The holy name, form, qualities, and pastimes of Sri Krishna are divine and transcendental. They cannot be experienced by material senses. The Lord manifests Himself spontaneously on the tongue of a devotee who is eager to serve Him.” Just as a devotee waits to see the Lord with great patience and eagerness, sometimes the Lord also waits with great patience and eagerness to see His devotee. It is described in the Caitanya-caritamrta how the hidden Deity of Gopal in Vrindavan was waiting for His beloved devotee, Sri Madhavendra Puri. For many days I have been watching the road for you, and I have been wondering, ‘When will Madhavendra Puri come here to serve Me? '” In this way the Supreme Lord, who succombs to His devotee’s love, waits to see His devotee with great eagerness. “The Lord will grab food from His devotee, but He will not even glance at anything given by a non-devotee.” This is why the eagerness to serve Him in loving devotion has to be present. 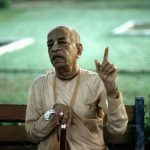 Srila Prabhupada’s loving devotion for the lotus feet of his Gurudev is beyond our comprehension. 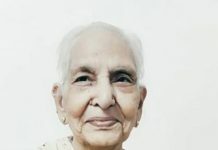 At one time he told us, “When I used to think that I was a big scholar of mathematics and philosophy, by my good fortune I got darshan of the lotus feet of Sri Gurudev. He ignored everything that was previously appreciated in me by others: my truthfulness, my moral and pious life, and scholarship, knowing them to be of little value. When he ignored whatever was good in me, I realized how good he himself was, he who could ignore so many “good qualities” in me; what inconceivable wealth there was in him. Being ignored by him, I realized that there was no one more fallen than me, more contemptible than me, and that this was my real identity. This great soul did not consider the things which I considered to be highly desirable, such as scholarship and pure moral character, to have any value. Then I realized what was in this great soul was absolutely priceless. I prayed very humbly to the Supreme Lord for His mercy. Later, by the mercy of the Supreme Lord, I realized that without receiving the mercy of this great soul and serving him, nothing good could happen to me. When I realized that and acted accordingly, by taking shelter of the lotus feet of Sri Gurudev and by receiving his unlimited causeless mercy, I considered my life fulfilled. I have understood that if the people of the world do not receive the same jolt that I received from my Gurudev, then their consciousness will not awaken. In another place he wrote, “Even after seeing Srila Gaur Kishore Das Babaji, many people, the immature and the clever, the young and the old, the scholarly and the foolish, those lacking devotion and those proud of their devotion, did not have the proper transcendental vision to see him. This is the transcendental power of a pure devotee. Hundreds of people came to him for his instruction, to fulfill their material desires. But that instruction was actually deceiving them. 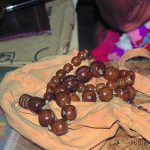 Many people take the garb of sadhus, and many people outwardly act like sadhus, but in reality, not only are they not sadhus, but they are very far from any sadhu. But there is no such impurity in my Lord. By his own example he demonstrated that purity was truth. Another inconceivable thing was that often deceitful, materialistic people whose mood was unfavorable to pure devotion, would surround my Gurudev without understanding his real position. They considered themselves objects of his affection yet kept their attachment to petty things. But he did not outwardly make any effort to get rid of them, nor did he accept them in any way. 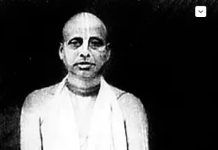 On the 29th of October, 1934, Srila Prabhupad discovered the place of pilgrimage where Srila Rupa Goswami saw Sri Gopal in the village of Sati-gara in Mathura. I remember in 1935, starting from the 8th of October, Srila Prabhupad observed Sri Damodar-vrata on the bank of his beloved Sri Radha Kunda. Every day he gave lectures on Srimad Bhagavatam, Sri Caitanya-caritamrta, Upanishads, and other holy scriptures. 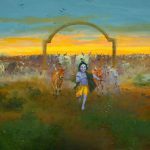 Every day he would circumambulate Sri Radha Kunda and would hear or talk about the eight daily pastimes (asta-kaliya-lila ). At this time, to properly serve Sri Vraja-mandal, he started regular meetings preaching the glories of Sri Vraja-Dham (Sri Vraja-Dham Pracarini Sabha ). Srila Prabhupad was extremely affectionate to his disciples, and if he found out any one of them was bewildered by Maya he would shed tears. In confronting those who had a demoniac mentality, he was deadly like a thunderbolt. Yet in his loving relationships his heart was softer than a flower. 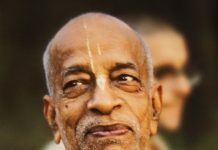 In any of his Maths, if any of his servants had to face a difficulty due to lack of money, Srila Prabhupad used to take great care to send that money as soon as he heard about it. He could not bear the thought that a devotee had to undergo hardships due to lack of money. He used to become very concerned if he heard of any devotee being ill. His affection could not be compared with that of millions of fathers and mothers. If we were ever sad and miserable, as soon as we sat near him, all sadness went away due to the shower of his unlimited affection. Even his chastisement seemed very sweet. The suffering that comes from Your service is also our supreme happiness. Both the suffering and the happiness that come from Your service are our greatest treasure, and they destroy the miseries that come from ignorance. 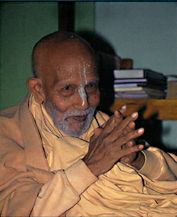 If we could not properly perform some service which had been ordered by Srila Ourudev, it would cause us great sadness. Our service to Srila Gurudev seemed to consist of everything: devotion, worship, meditation, realization, austerity, and sacrifice. He was most dear to Krishna. Therefore, if we could somehow bring him some satisfaction, we considered that the highest fulfillment of our devotional practice. Alas! How many years have passed since he left this planet! How am I spending my days in this long separation from him? Why is my soul still living here? For the sake of what kind of happiness? Perhaps due to my offenses to the holy name and at the lotus feet of Srila Prabhupad, my heart has become hard like a thunderbolt and it does not feel any pain anymore. If I really loved him, how could I live this worthless life here? 0 merciful lord, please protect this fallen servant of yours. Even though I’m so fallen, so sinful, and so deviated from the path of devotional service, please pick me up and put me at the shelter of your lotus feet. Glorious is that devotee who does not give up the shelter of his Lord, and glorious is that Lord who does not abandon his servant. If by chance, a servant falls down and goes somewhere else, glorious is that master who captures him and brings him back by the hair. You gave me the Tulsi beads so I could offenselessly take the holy name. But alas, I am still indifferent to that. My worshipable Godbrothers, who are all my wellwishers, have set such examples for me by their own actions, but I was not inspired by that. I do not have the desire to take the holy name, what to speak of having love for the holy name. Have I been deprived of the mercy of the holy name due to my offenses at your lotus feet and the lotus feet of the Vaisnavas? 0 merciful Prabhupada, please give me love for the holy name. Please inspire me. Let those lotus feet of yours, which I had the good fortune to hold to my chest and which are more cooling than millions of moons, be installed and be worshipped in my heart for all eternity. This is my only prayer to you.